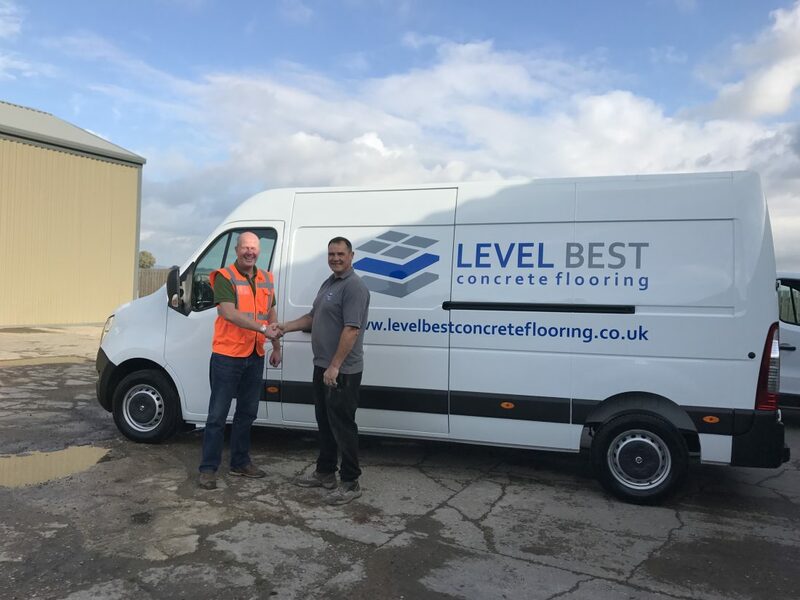 Level Best Concrete Flooring from Goole have just purchased this new vehicle to cater for the latest surge of orders for both new concrete floor slabs and concrete floor renovation services. The above photograph shows two of the youngest (in mind only) members of the team, Mr Billy Hilyard the After Sales Manager and Mr Jon Wilcox the Sales Manager for the busy concrete flooring contractors. As you can see from the smiles on the pairs faces , they are both very pleased with the progress of the company in such a short space of time and Billy is especially pleased with his new van as it has air conditioning and reversing bleepers, as well as an imaginary button that makes him stop for a break whilst driving every 45 minutes, known as a Billygraph.